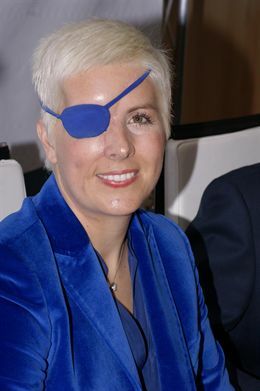 Maria de Villota: Former Spanish F1 Test Driver , has been found dead on Friday at the Hotel Sevilla Congresos , apparently of natural cause after an autopsy was carried out on her body, according to the police sources. The notice for the location of Maria de Villota’s body in her hotel room was received by the 061 emergency service on 0750 hours. The first hypothesis suggests that the death was natural causes , but policemen Scientific and Homicide Group have moved to the hotel to investigate. De Villota had moved to Seville to participate in the congress organized by the Foundation ‘ What really matters ‘ , focused on presenting stories of personal and solidarity , and would present next Monday in October her book ‘ Life is a gift ‘ that recounts the turnaround that gave her life following the serious accident she suffered and for optimism . Maria de Villota Born in Madrid in 1980 , survived the July 3, 2012 to a serious accident at Duxford (United Kingdom), while performing tests for Formula 1 team , Marussia Russian . The accident caused severe cranial and facial injuries caused her to lose right eye. Maria de Villota daughter of former Formula 1 Emilio de Villota , became the first Spanish woman , filed as a reserve to participate in F1 , drove a car in this class – a car Renault R29 F1 in 2011 – . It was also the first woman to participate in the World Touring Car Championship ( WTCC ) in the Superleague Formula and making the pole in the championship Ferrari Challenge. She has been the only female runner of Spain in monoplanes and the first Spanish to participate in the 24 Hours of Daytona , among other competitions . Three months after fighting , reappeared at a public event where she said ” an endurance race ” and had given ” notice that there is life beyond Formula 1″ . “I’m sure the best is yet to come and the love I have received from everyone has already covered what would have covered a lifetime ,” she said then. The Madrid continued its recovery and broke away from his world. Since March 2013 was in charge of the single-seater category Pilots Commission International Automobile Federation (FIA ) , with Karun Chandhok and Nigel Mansell . The last July married in Cantabria. Article Posted By Muhammad Ali Zeeshan. Founder and CEO of Hubsubpost. I am a student by profession but loves digging About Latest Trends related to Tech & News and also PC, Smartphone Troubleshooter. Launched New Tech Blog TechOpti. Thanks (^,^). Hubsubpost Provides Tech Solution for Smartphones iPhone and Android Apps, Custom Roms, Samsung, Social Media and Blog Guide.